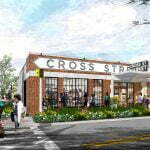 MacKenzie Contracting Company is pleased to announce that they have been awarded the renovation project for Baltimore’s iconic Cross Street Market located in the City’s historic Federal Hill neighborhood. Senior Vice President Scott Albright will act as project manager on behalf of MacKenzie who has partnered with the developer, Caves Valley Partners. With demolition complete and renovations currently underway, the project will be completed in two phases and include a complete interior renovation of all new building systems and public restrooms, new windows and entry doors, and an updated façade that will enhance the look of the building, giving it a retro look resembling the early 1950s when the structure was originally built. The market’s updates are scheduled to be completed by Spring 2019. Established in 1988, MacKenzie Contracting Company, LLC, is an award‐winning full‐service general contracting and construction management firm offering a full range of pre‐construction, general contracting, ground‐up construction, renovations and project management assistance for clients in an array of industries; including healthcare, defense, education, retail, business, and manufacturing. For more information on the Cross Street Market renovation, please contact Joe Versey at 443.610.7505, or jversey@mackenziecontracting.com. For more information on MacKenzie Contracting, please visit www.mackenziecontracting.com.